Well, another cryptic error message that doesn’t help you resolve your issue at hand. After a bit of digging it turns out the prerequisite installer tries to access the Internet to download the necessary files to install the roles mentioned above. The solution is to either take your server online (connect it / give access to the Internet) or download the necessary files to a folder or network location you can access and via the shell indicate the location of said files. For the purposes of this example it is assumed you have mounted the Windows Server 2012 installation media (ISO) to the D: drive of the server. Please note that you can also copy the files locally or specify a UNC path where the installation files are stored. Your server will require a reboot after running this PowerShell code. This post is intended to be a how-to guide and provide comprehensive insight into the ‘offline’ SharePoint 2013 Prerequisite installation process on Windows Server 2012. You can also consider this to be a ‘manual’ procedure. This post contains an at length description of the issues you potentially will encounter, and the resolutions to these issues. What do I need to successfully install the Prerequisites? Why is attention to an Offline or Manual Prerequisites installation important? Out of the box, the Prerequisiteinstaller.exe requires an Internet connection (i.e. the server is ‘Online’) to successfully complete the installation. If you attempt to use the out of the box PrerequisiteInstaller.exe on a Windows 2012 server without an Internet connection, the installation will fail. 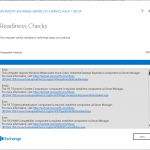 An official article that outlines the required Prerequisites can be found on TechNet at http://technet.microsoft.com/en-us/library/cc262485(office.15).aspx#section4 (Hardware and Software requirements for SharePoint 2013). I found this listing to be somewhat confusing regarding what was specifically applicable to a SharePoint 2013 installation on Windows Server 2012. Also, it does not specifically outline which Windows Server 2012 Roles/Features are required. Next are the Roles/Features that are required for the “Application Server Role, Web Server (IIS Role)”. It turns out that this is a long list of Roles/Features – 46 in total. Further into this post, I’ll show you how to get this list while the Prerequisites are installing using the out of the box PrerequisiteInstaller.exe. Within an elevated (i.e. Run as Administrator) PowerShell prompt, you can use Get-WindowsFeature to see all of the Roles/Features installed on your server and map the Roles/Features in the table below to the labels used within the Add Roles/Features Windows Wizard. This tool requires an Internet connection to install Roles/Features and to download/install other Prerequisite files. Above is the first error screen you’ll encounter if installing offline. Essentially if you are performing an offline installation using the PrerequisiteInstaller.exe, you won’t be able to get any farther than this.
. . . 2012-11-23 21:31:55 – Beginning download/installation 2012-11-23 21:31:55 – Created thread for installer 2012-11-23 21:31:55 – “C:Windowssystem32WindowsPowerShellv1.0powershell.exe” -ExecutionPolicy Bypass “C:UsersADMINI~1.PHOAppDataLocalTemp1Pre75B8.tmp.PS1” 2012-11-23 21:31:56 – Request for install time of Application Server Role, Web Server (IIS) Role . . . 2012-11-23 21:01:57 – Install process returned (0) 2012-11-23 21:01:57 – [In HRESULT format] (0) 2012-11-23 21:01:57 – “C:WindowsMicrosoft.NETFramework64v4.0.30319aspnet_regiis.exe” -I 2012-11-23 21:01:57 – Install process returned (0) 2012-11-23 21:01:57 – [In HRESULT format] (0) 2012-11-23 21:01:57 – “C:Windowssystem32cscript.exe” “C:Windowssystem32iisext.vbs” /enext “ASP.NET v4.0.30319” 2012-11-23 21:01:57 – Install process returned (1) 2012-11-23 21:01:57 – [In HRESULT format] (-2147024895) 2012-11-23 21:01:57 – Error when enabling ASP.NET v4.0.30319 2012-11-23 21:01:57 – Last return code (1) 2012-11-23 21:01:57 – Reading the following DWORD value/name… 2012-11-23 21:01:57 – Flags 2012-11-23 21:01:57 – from the following registry location… 2012-11-23 21:01:57 – SOFTWAREMicrosoftUpdatesUpdateExeVolatile 2012-11-23 21:01:57 – Reading the following string value/name… 2012-11-23 21:01:57 – PendingFileRenameOperations 2012-11-23 21:01:57 – from the following registry location… 2012-11-23 21:01:57 – SYSTEMCurrentControlSetControlSession Manager 2012-11-23 21:01:57 – Reading the following registry location… 2012-11-23 21:01:57 – SOFTWAREMicrosoftWindowsCurrentVersionWindowsUpdateAuto UpdateRebootRequired 2012-11-23 21:01:57 – Error: The tool was unable to install Application Server Role, Web Server (IIS) Role. 2012-11-23 21:01:57 – Last return code (1) 2012-11-23 21:01:57 – Options for further diagnostics: 1. Look up the return code value 2. Download the prerequisite manually and verify size downloaded by the prerequisite installer. 3. Install the prerequisite manually from the given location without any command line options. 2012-11-23 21:01:57 – Cannot retry . . . So in reviewing this log, you can see that the Prerequisite installer executes a PowerShell script, in my case “C:Windowssystem32WindowsPowerShellv1.0powershell.exe” -ExecutionPolicy Bypass “C:UsersADMINI~1.PHOAppDataLocalTemp1Pre75B8.tmp.PS1” (the filename of this PowerShell script may be different in your environment). This is where the PrerequisiteInstaller.exe temporarily stores the PowerShell script that it executes to install the Roles/Features. The folder in which this PowerShell script is stored is also the location where (in an Internet connected installation) the PrerequisiteInstaller.exe will store other Prerequisite files as they are downloaded. As we see near the end of the log, it provides an error confirming the installer was “unable to install Application Server Role, Web Server Role (IIS)”. The issue with this log is that it is not clear that the issue is caused by the installer’s inability to access Windows Update, although the Windows Update is mentioned in the log, so there is your clue. Windows Update is required for the installation of the Net-Framework-Features and this will also install Net-Framework-Core which is .NET 3.5. This feature installation requires binaries and other files that are not included in a default Windows Server 2012 installation and need to be downloaded from Windows Update by the PrerequisiteInstaller.exe application to continue installation using this method. So no real resolution action is clearly suggested regarding how to fix this problem. Not to worry, this article includes the solution regarding how you can get around this issue. Examples you’ll find online will show you PowerShell similar to the following (ensure this is run at an elevated prompt, i.e. Run as Administrator) to manually install the Windows Server 2012 Roles/Features required by SharePoint 2013. The above code is the PowerShell that the PrerequisiteInstaller.exe will execute (in the PowerShell script file indicated in the above section) and it will fail if the server does not have an internet connection. We now know that the reason is Windows Update is required for the installation of the Net-Framework-Features will also install Net-Framework-Core which is .NET 3.5 and this required binaries and other files that are not included in a default Windows Server 2012 installation. Now this is error message is more useful. When you visit the provided link, it says that you need to in some way restore your Windows Server 2012 installation. What!? But this is a fresh, clean and default install. Well it helps to know that the Net-Framework-Core feature is ‘Removed’ by default (you can confirm this at an elevated PowerShell prompt (i.e. Run as Administrator) by executing Get-WindowsFeature and looking at the status of Net-Framework-Core) and this is what the message is referencing – you need to restore this. For completeness, the Net-Framework-Features feature will automatically install the Net-Framework-Core feature. The linked articles within this page aren’t entirely useful to address our specific issue. These pages talk about ‘sources’ but not in the specific context that will help solve our problem. “The source files could not be downloaded” – we know this because the server is offline. Open up Internet Explorer and Bing the following: windows server 2012 Error : 0x800f0906. The first result (when I searched) was titled “Error codes when you try to install the .NET Framework 3.5 in Windows 8 or in Windows Server 2012” and the support article can be found at http://support.microsoft.com/kb/2734782 . The specific resolution to solve our issue is in this support article. We need to re-run our PowerShell command but this time include the –source parameter specifying a specific the location within the Windows Server 2012 installation media. As an easy example, if your Windows Server 2012 installation media (ISO) is mounted to your D: drive, then the path to provide in the –Source parameter is: D:sourcessxs. Now we know how to install the SharePoint 2013 Roles/Features Prerequisites successfully in an offline Windows Server 2012 environment. To install the Roles/Features required by SharePoint 2013 on Windows Server 2012 in an offline environment, you need to have access to the Windows Server 2012 installation media. You have the SharePoint 2013 installation media copied locally within Windows Server 2012 at c:sharepoint2013bits. 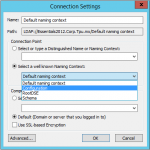 As a note – if you have multiple SharePoint 2013 servers to build, you will be better off placing the SharePoint 2013 installation files on a network share. In addition, you should also copy the downloaded prerequisite files to the location specified above within SharePoint 2013 installation media prerequisiteinstallerfiles directory on said network share. This will make your life easier. Although this example uses local paths, UNC paths on a network share are fully supported as long as the logged in user installing the prerequisites has read rights to the UNC network path location. Start-Process "$SharePoint2013PathPrerequisiteInstaller.exe" –ArgumentList "/SQLNCli:$SharePoint2013PathPrerequisiteInstallerFilessqlncli.msi /IDFX:$SharePoint2013PathPrerequisiteInstallerFilesWindows6.1-KB974405-x64.msu /IDFX11:$SharePoint2013PathPrerequisiteInstallerFilesMicrosoftIdentityExtensions-64.msi /Sync:$SharePoint2013PathPrerequisiteInstallerFilesSynchronization.msi /AppFabric:$SharePoint2013PathPrerequisiteInstallerFilesWindowsServerAppFabricSetup_x64.exe /KB2671763:$SharePoint2013PathPrerequisiteInstallerFilesAppFabric1.1-RTM-KB2671763-x64-ENU.exe /MSIPCClient:$SharePoint2013PathPrerequisiteInstallerFilessetup_msipc_x64.msi /WCFDataServices:$SharePoint2013PathPrerequisiteInstallerFilesWcfDataServices.exe"
Note that even if you are installing these Prerequisites on a server that is Online, using this procedure will be faster due the fact that the Prerequisites are available locally and don’t need to be downloaded. I have uploaded scripts to the TechNet Gallery to serve as an assistant to installing the SharePoint 2013 Prerequisites on Windows Server 2012 – these scripts make it easy for you.